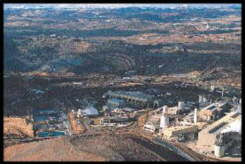 PHOTO OF A MODERN GOLD MINE AND PROCESSING PLANT. STATE OF THE ART HEAP LEACH PROCESSING AND OPEN PIT MINING ALLOW MINING COMPANIES TO PROCESS ORE WITH AS LITTLE AS 0.015 OUNCES OF GOLD PER TON OF ROCK (ORE) AND MAKE A PROFIT. 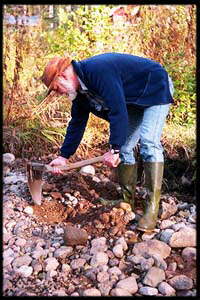 TRY THAT WITH A PICK, SHOVEL AND GOLD PAN!